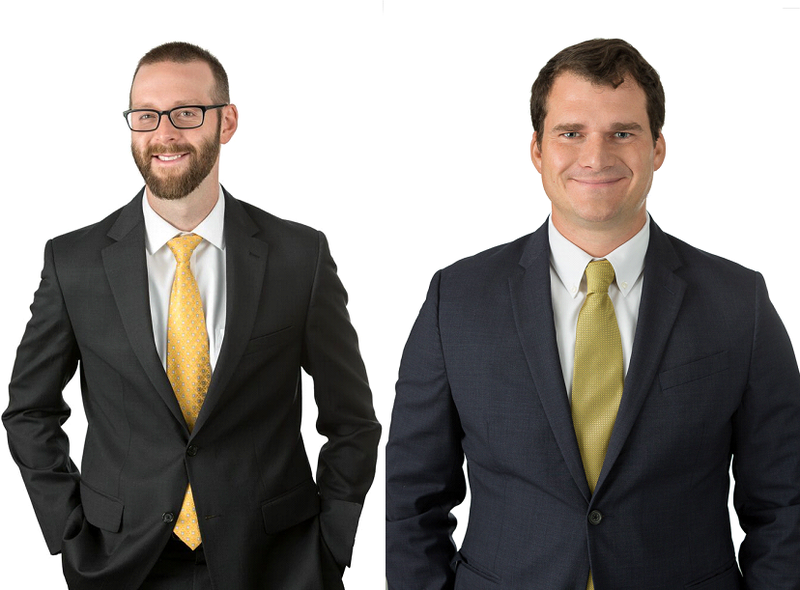 CMBG3 Law is proud to welcome Eric Robbie and Ross Elwyn as Associate Attorneys to the CMBG3 team! Ross joins CMBG3 after his tenure with one of the largest latent claims administrators in the United States, where he managed complex environmental and asbestos litigation claims. He specialized in claims and coverage disputes associated with aviation and talc products liability. In his prior work, Ross oversaw hundreds of settlements and numerous cases tried to verdict. His experience is invaluable in evaluating liability through a comprehensive understanding of product exposures, science and medicine defenses, and historical verdict values. Ross is a graduate of Vermont Law School with Juris Doctor and Master of Environmental Law and Policy degrees. Eric joins the team with a background in insurance injury litigation for both plaintiffs and insurers. Most recently, Eric spent many years representing plaintiffs in claims for personal injuries. In his practice, Eric helped his clients file insurance claims and navigate the complexities of the claims process. Eric specializes as a courtroom litigator, often taking the toughest cases to court when a settlement cannot be reached. Eric has extensive experience in the courtroom, taking many cases to trial before a jury and has also been highly successful in the appellate courts. Through hard work, persistence and a client-focused effort, Eric established himself as a tough litigator who always fought for his client’s rights and achieved success. In addition to his litigation experience, Eric is extremely dedicated to learning and understanding the nuances of the law and legal theory, and using these skills to craft strong legal arguments through research and writing. Eric brings his zeal for tough, effective representation and keen legal sense with him to CMBG3, where he focuses on asbestos, toxic tort and environmental defense. Please join us in welcoming both Eric and Ross to the CMBG3 team! In the near future, each will be featured on our website; however, in the meantime, you can reach Eric at erobbie@cmbg3.com or 617-936-4353, ext. 209 and Ross at relwyn@cmbg3.com or 617-936-4353, ext. 204.